Learn from Kevin Elmy how to implement cover crops on your farm. Greg Stamp - new varieties and market opportunities. 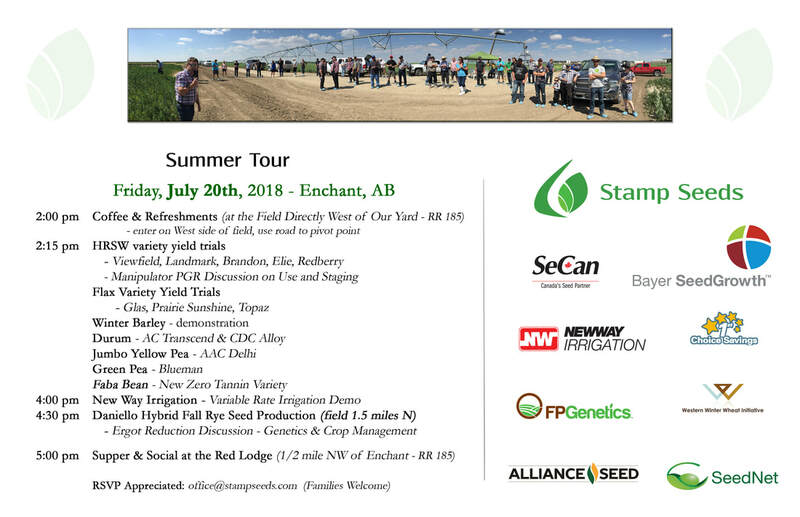 Erin Matlock from Thunder Seeds will be out to talk agronomy and variety choice. We are hosting a cover crop meeting with Kevin Elmy Thursday, March 1st at 8:00am in Heritage Hall South entrance. We will learn how cover crops can be used for erosion control in specialty crops, diversity, and/or for grazing use on your farm. A pass is needed to enter the grounds that early. ​You need to RSVP and each person entering will receive the pass needed to enter from me. I will email it out when you RSVP your attendance. 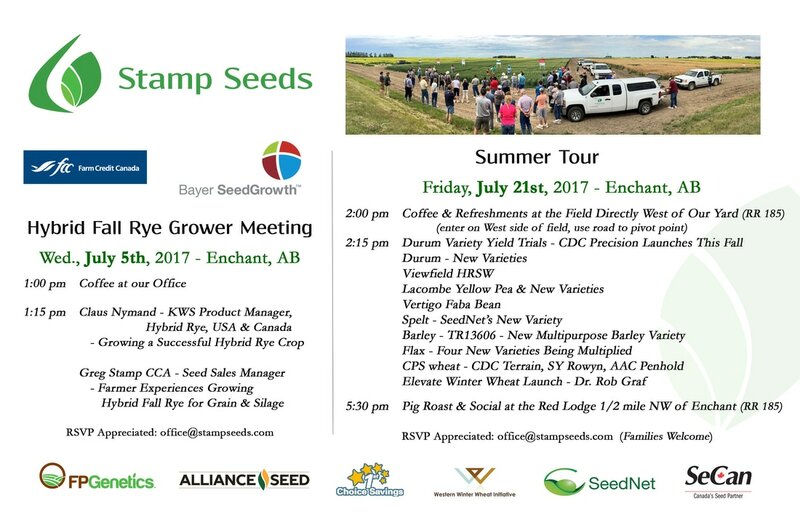 9:15 Chinese Market Opportunities - Christos Lygouriatis, XPT Grain Inc.
Wildrose leader Brian Jean will be visiting our farm! Join us on Friday, March 31st from 2-4 pm at our office at Enchant, AB for a meet & greet with Wildrose leader Brian Jean. Plan to stop at our booth in the South Pavilion near the seed fair at Ag Expo March 1-3rd 2017. Talk to us about our new pulse cleaning facility for more gentle cleaning of peas & faba beans. Be sure to ask your grain buyers at the show about the CNHR class of wheat. We have Faller CNHR available and it yields like a soft wheat. Flax has potential to be a great crop this season with good new crop pricing opportunities right now. Along with excellent coverage of seed treating don't forget we can apply a polymer coating (inoculant lifespan protection) & inoculation on pulses making seeding easier and with less fills. We have faba beans available still, let us know if you have questions on them. We are getting excited for the seeding season!